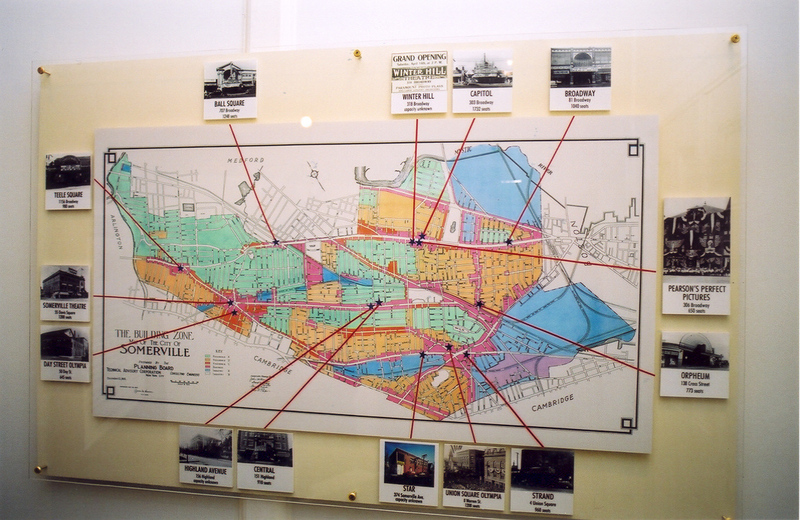 For nearly 60 years Somerville was home to 14 movie theatres. David Guss has gathered what is perhaps the largest collection of the neighborhood movie-going experience in the United States. Included in the collection are archival photographs from theatres and surrounding businesses, posters, ads, dish sets and other give-aways, seats, original stained glass and fixtures, and even a ten foot neon marquee from the Paramount. 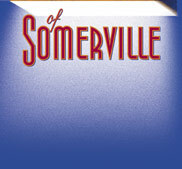 Map of all Somerville theaters. In addition to the entertainment provided on the screens was the important social role that these early movie palaces played. They were memory banks where personal and cinematic memories joined people together, experiential as well as architectural landmarks. Not only did they define neighbors but they also structured emotional experiences marking life's most important social transitions as well as its simple, daily rhythms. They also served as important economic anchors around which a multitude of small, family-run businesses flourished.